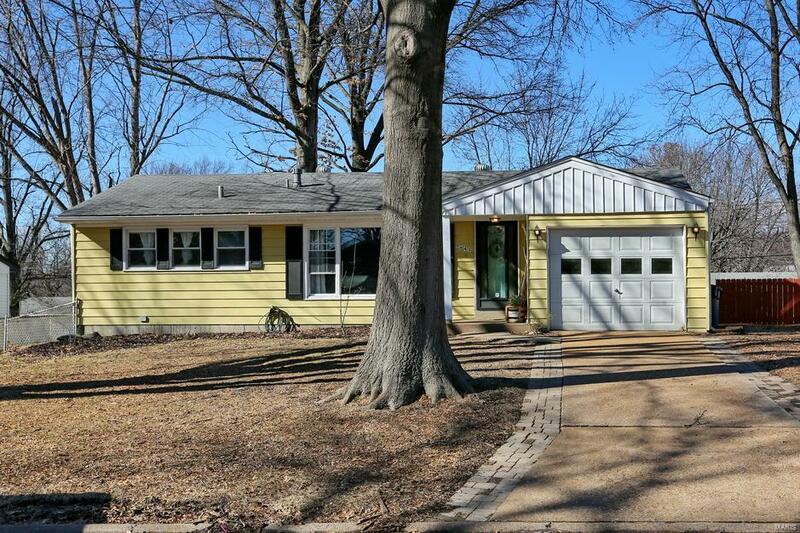 Welcome to this beautifully updated ranch home with 3 bedrooms, 1.5 bathrooms, and 1 car garage. Gleaming hardwood floors greet you at the front door and run throughout the main level. Updated kitchen has white cabinets, gas stove, breakfast room, pantry and wood shelving. Updated bathroom has tile flooring and surround, and newer vanity. All bedrooms are great sizes and feature hardwood floors. Finished lower level has a 24X11 family room, 15X11 rec/den area, 11X10 sleeping room, 19X12 laundry room with sink and shelving, and half bathroom. Fenced backyard features a shed, play set, and many natural gardens to enjoy. This home has so much for the price. Who wants to be the next one to call this beautiful place "home".